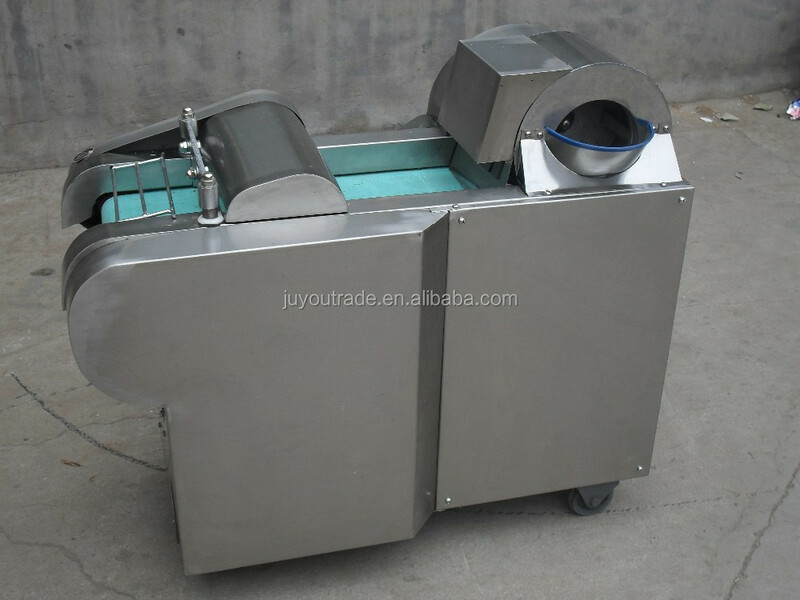 Buy automatic carrot dicer machine/onion cube cutting machine - Jinan Joysun Machinery Co., Ltd.
1) This machine can be used for cutting stem vegetable ,leafy vegetable and bean products.The vegetables can be cutted in dices,slices,bars and many other shapes as customers' need. 2)The thickness and the length is adjustable. 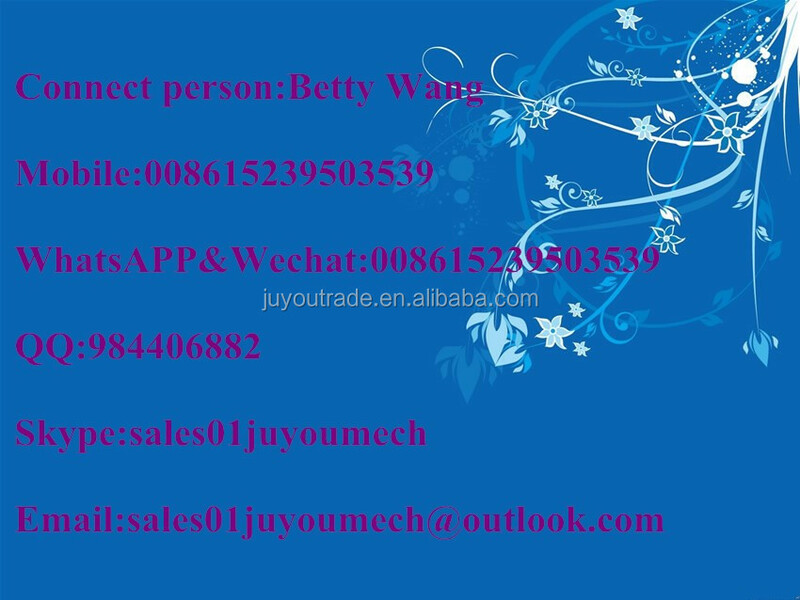 3)High efficiency, easy operation, low energy consumption, health, safety. 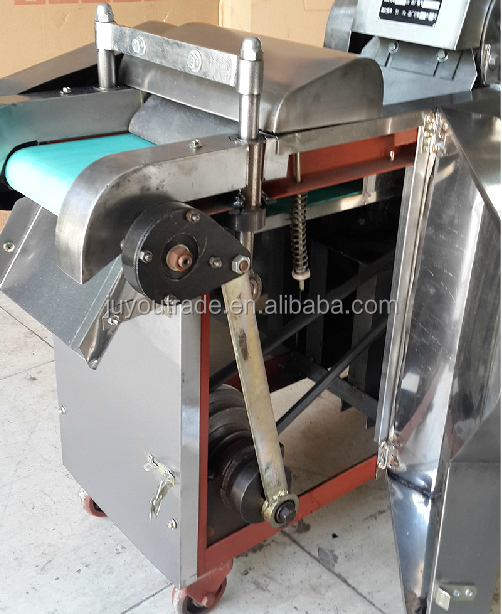 4)The whole machine includes the rack convener, belt of the vegetable press, slice device , speed –adjusting box, and motor. 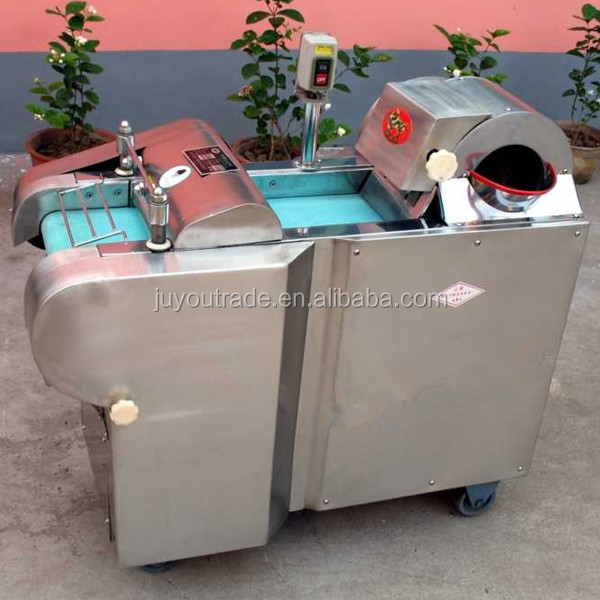 5).By changing various blades of the machine can cut the root and stem vegetables (potato, yam, carrot, eggplant etc) into many shapes, such as strips, slices, cubes, rhombus and waves. 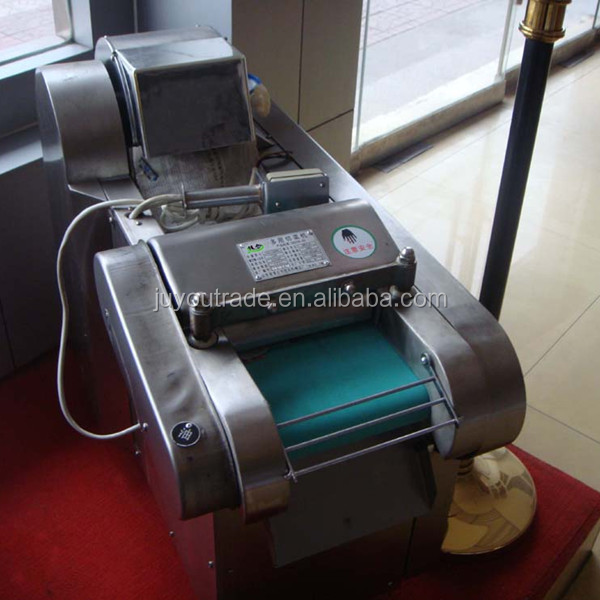 6)The machine is also fit for segmenting the stem vegetables (leek, celery, beanstalk etc) and shredding various leafy vegetables (kelp, cabbage etc). 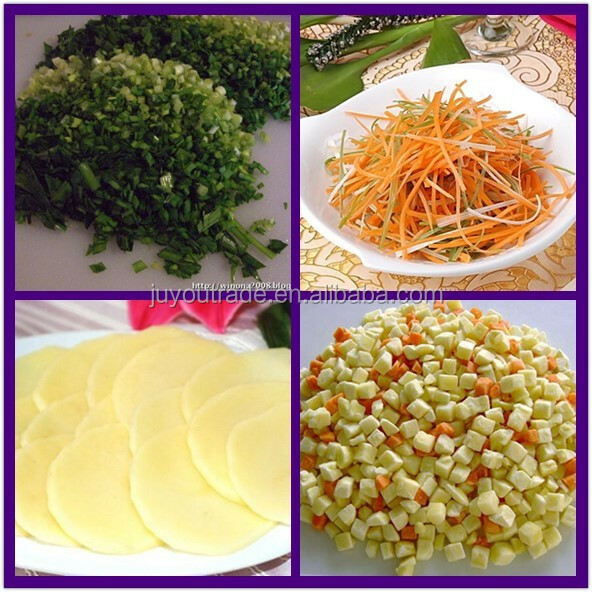 7)Widely used in restaurant, small vegetable company, and other food industry !